A man took his wife to the doctors. 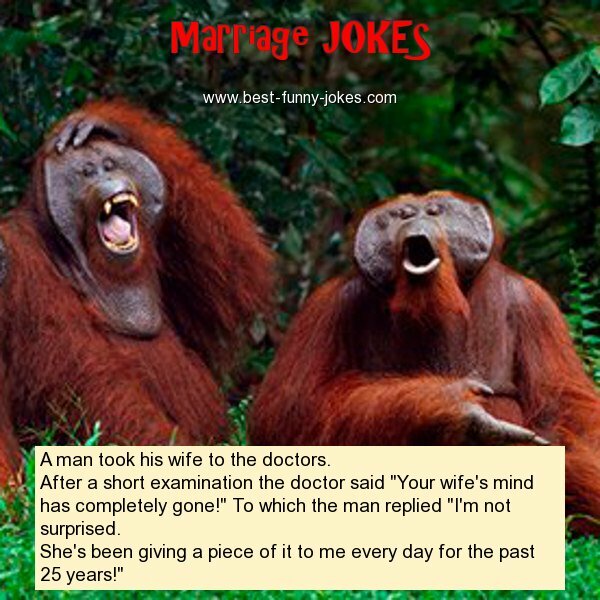 After a short examination the doctor said "Your wife's mind has completely gone!" To which the man replied "I'm not surprised. She's been giving a piece of it to me every day for the past 25 years!"